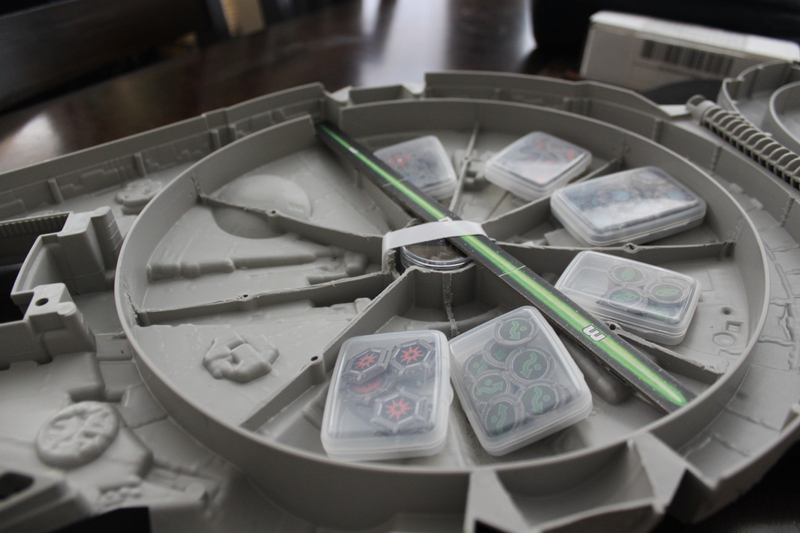 I was trying to figure out how best to carry my X-wing miniatures models as I started traveling to tournaments both locally and farther away like Indianapolis’ GenCon and Fantasy Flight’s Worlds competition held Minnesota. 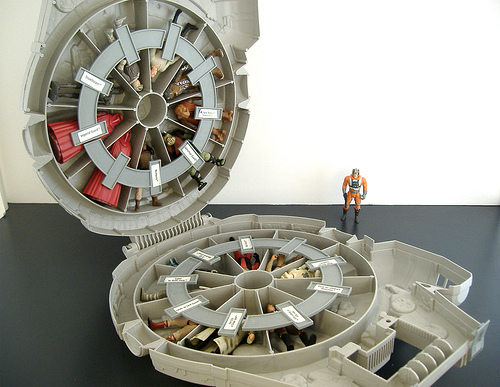 I randomly stopped at a garage sale (something I do maybe once every few years) and happened to find an old Star Wars action figure case for $3 (Power of the Force Millennium Falcon edition from Kenner produced around 1996). 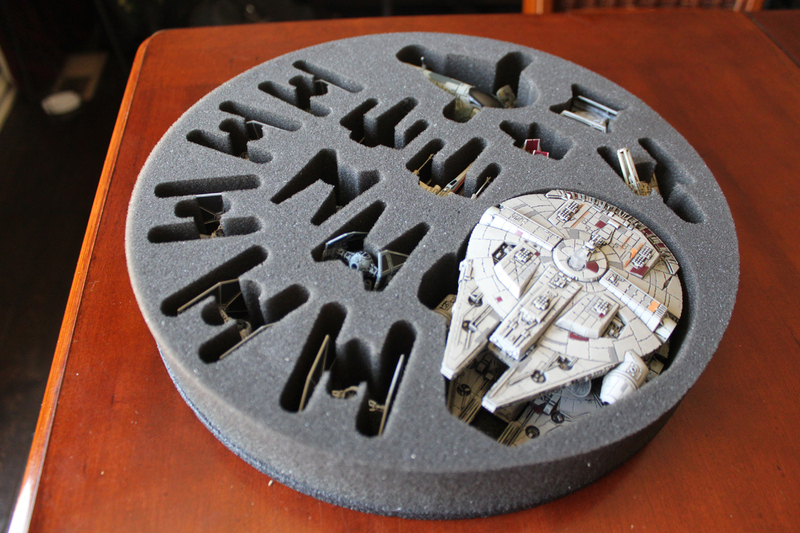 Once I saw it, I knew it would work perfect as a case for my X-wing minis. Inside, the case had these perfect dividers and I was showed it off to a friend as I tried to figure out how to make the models work (knowing I would have to cut some of the dividers out to fit the larger ones). 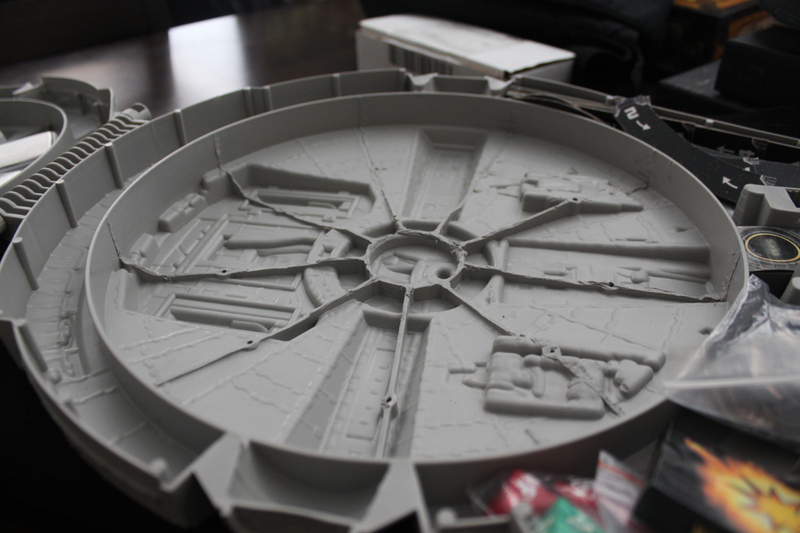 After seeing it, he had the brilliant idea to cut it all out and get some custom foam to fit and hold the models. 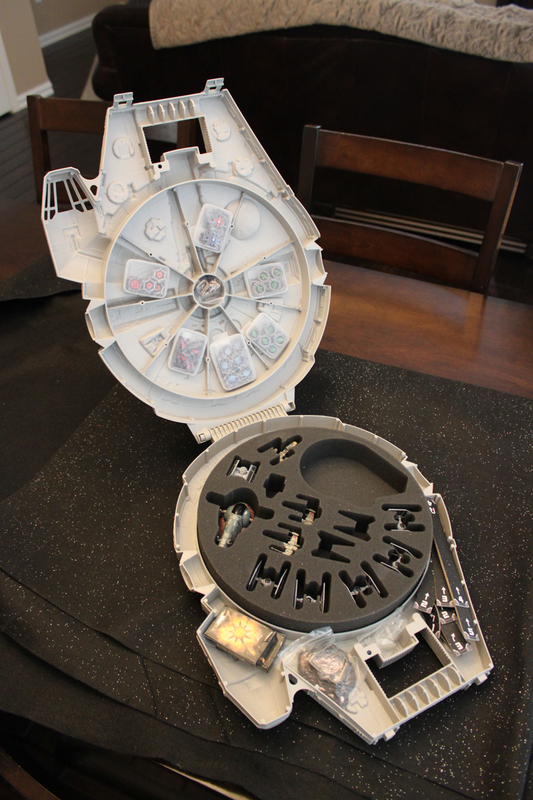 Gutting it out with a dremel tool was a ton of work but eventually I had everything cut out and smoothed down enough to use the entire inside to support model storage. For the top, I didn’t cut the dividers out as deep as I’d use them to store all the tokens and bits required for the game. The dremel basically melted the plastic out which left everything pretty rough. I ended up using steel wool and sandpaper to smooth things out to finish the main areas. I didn’t like the idea of the open cockpit so I hotglued in a piece of black plastic to cover it up. The clips that held the case closed were shot so I went low tech and grabbed some of my girls’ white hair bands and they worked great. The case itself was complete, now I needed to figure out the foam. Battlefoam has a custom foam creation tool and I started messing around with it. It was actually pretty easy to use but I couldn’t make it cut a circle like I needed. I contacted them and they figured out what I needed. I drew up some specs and it turned out perfect. 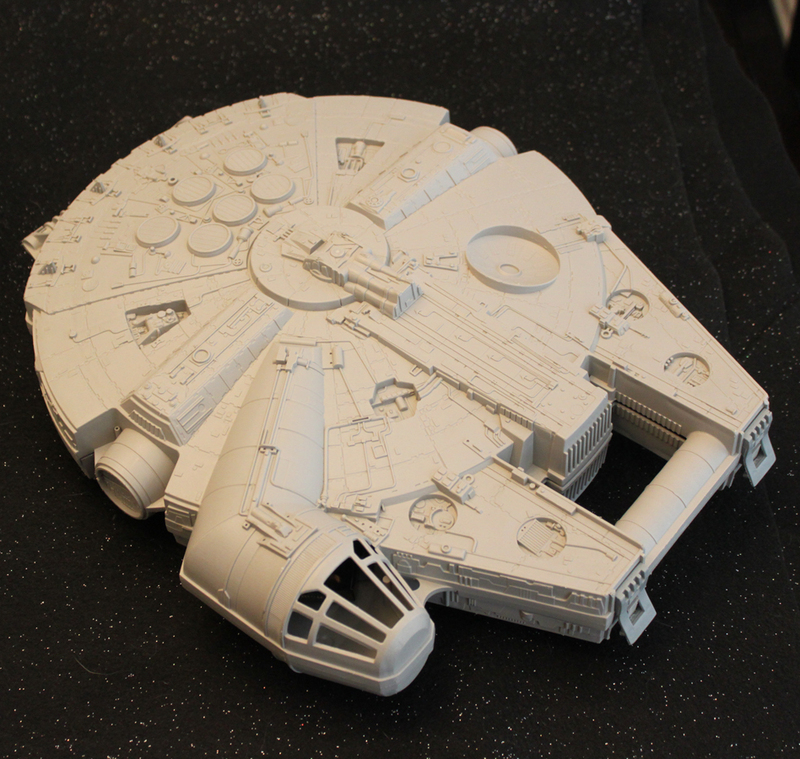 When complete, it fit all the models I needed and I could make different foam inserts later as more models came out. The case holds everything securely and is now pretty recognizable as my personal carrying case when I go to tournaments.